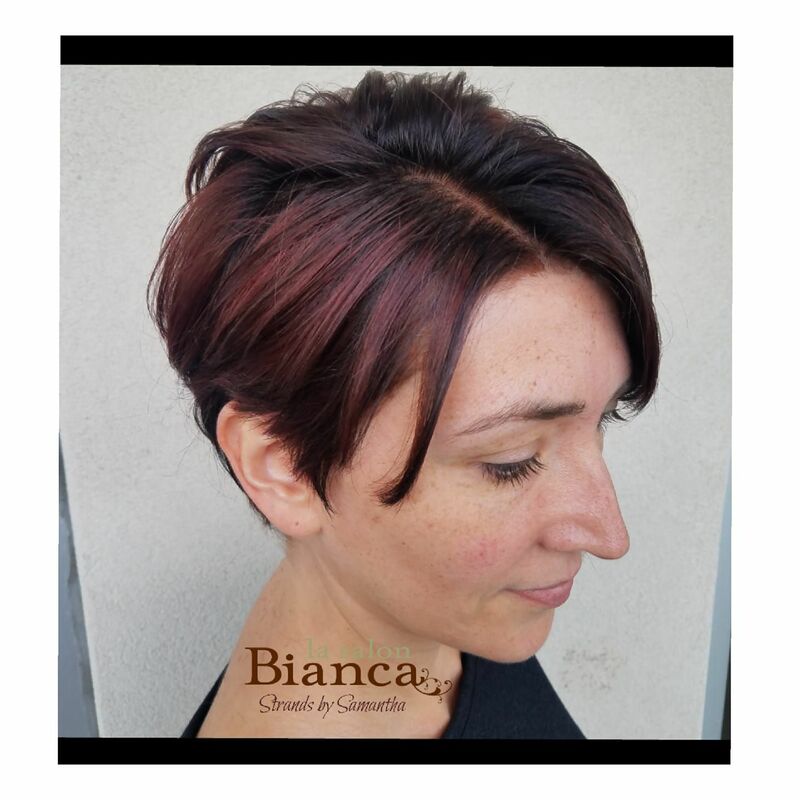 New pixie cut and color done on this beauty by our Tier 1 Stylist, Samantha! She looks absolutely stunning in these purple tones! Perfect change for her starting her new job as Teachers Aid.